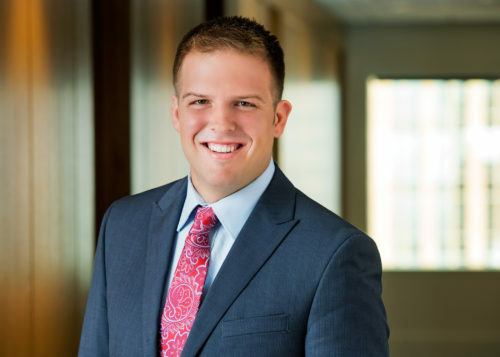 Nate practices intellectual property law with an emphasis on patent litigation and counseling at Carlson Caspers. He represents U.S. and foreign clients from a broad range of industries, including pharmaceuticals, medical devices and chemicals. Nate is a member of teams providing counsel on ANDA disputes, international and cross-border patent disputes and other matters. Nate is a registered patent agent with the U.S. Patent and Trademark Office. He served as a legal extern for the Hon. Patrick J. Schiltz of the U.S. District Court for the District of Minnesota. He also is a member of the Communications Committee of the Minnesota Chapter of the Federal Bar Association. After earning his undergraduate degree in chemistry, Nate served for one year as a paid research intern in Medtronic Inc.’s highly competitive Technical Internship Program. At Medtronic, he worked on a team in collaboration with an outside technology partner to achieve demonstrably higher volumetric energy density in implanted medical batteries. During college, Nate was involved in research projects both at St. John’s University and at Southwest University in Chongqing China. He is the co-author of an article published in the Journal of Chemical Research related to this research. Nate has represented clients in pro bono matters involving landlord-tenant issues, in conjunction with the Volunteer Lawyers Network. After finishing his internship at Medtronic, he served as volunteer in the IFRE program in Nepal. Nate played rugby at St. John’s University and was a member of the Eastside Banshees Rugby Club for several years. M-I Drilling Fluids UK Ltd. v. Dynamic Air Ltda. M-I Drilling Fluids UK Ltd. v Dynamic Air Inc.